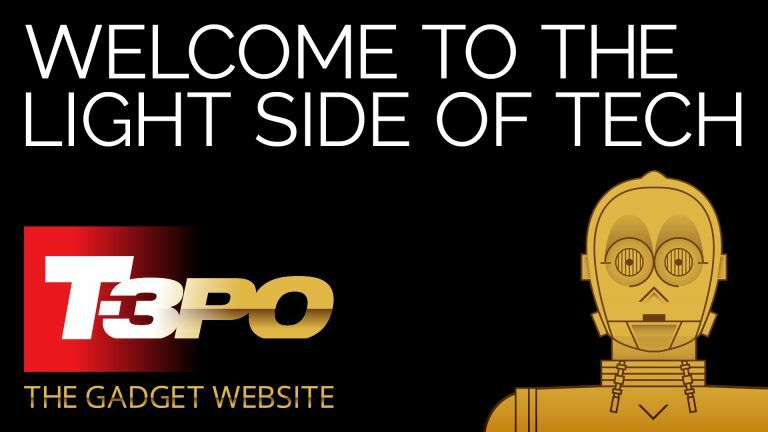 Welcome to the light side of technology as T-3PO takes on the evil techvadar! This week, T3 is joining the rebel alliance and channeling Jedi master Yoda as we becomeT-3PO! That's right, we've rebranded to celebrate the forthcoming Star Wars: The Force Awakens movie and we'll be bringing you stacks of great content looking at the utopian side of technology. But what of the dark side? Our sister site techradar has become the evil Empire and will be bringing you everything from the dark side of techas techvadar! Both sites will of course be celebrating the Star Wars world - looking at the technology through the films, the impact that Lucas' world has had on everything from sound to IMAX, from VFX to the design of some of our favourite gadgets. Here on T-3PO we'll be taking an overall more wholesome approach, looking at what's great about the Star Wars universe and byond. We'll check out the medical tech that will keep us young (and hopefully offer up a replacement hand or two), the self driving cars that will make our roads safer and the holograms that could revolutionise communications. techvadar, on the other hand, is the evil Empire and will be taking a look at the darkside of technology, from rogue AI to military drones, to government snooping, VR and gaming dystopias and 3D printed guns. Other features include an exploration into what it would take to build a Death Star or C-3PO, asking the specialists just how they would undertake such a project, while we'll also be rating all the lightsabers, looking at the Star Wars tech we wish existed and so much more. We'll be taking you right up to the movie's launch and beyond, so check out all we've got to offer you on the light side of tech and, if you dare, then step on over to the evil dark side. May the force be with you!